Recessional Definition - What is a Wedding Recessional? The wedding recessional is a part of the wedding ceremony. To be exact, the recessional is the end of the ceremony itself. The recessional is when the wedding party exits the ceremony space down the aisle at the conclusion of the wedding ceremony. You may think that the order in which the bridal party exits would be the same as the processional, but that's not actually the case. The order is actually reversed! For the recessional in a typical ceremony, the newly married couple typically lead the way, followed by ring bearers and flower girls, the maid of honor and best man, and the bridesmaids and groomsmen. If the bridesmaids and groomsmen were paired up for the processional, they typically also exit the ceremony in pairs. Once the entire bridal party has finished exiting the ceremony space, then the immediate family of the couple exits. 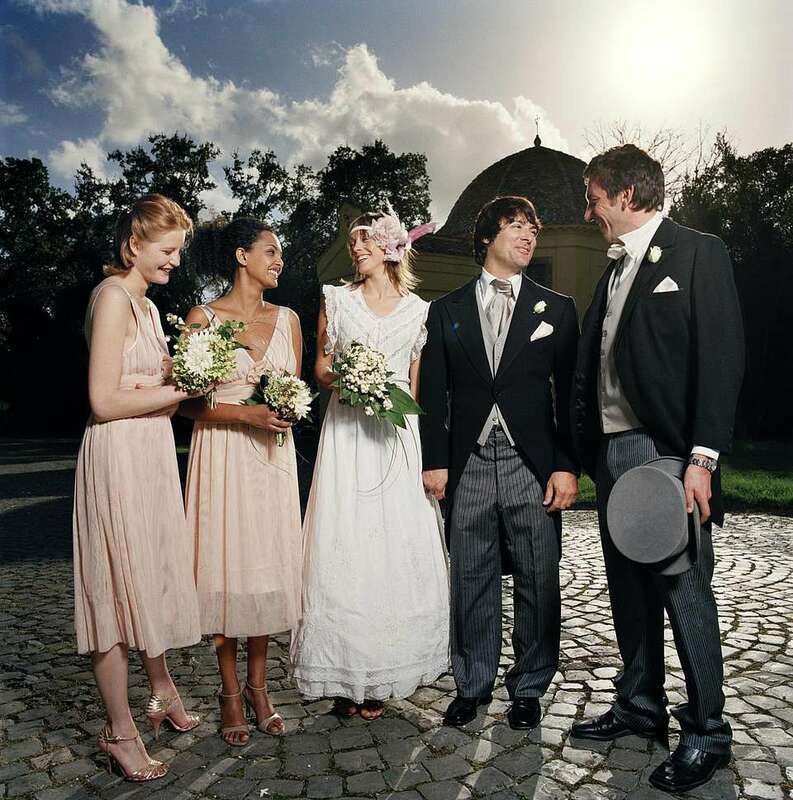 Typically, once the families have exited, the officiant or minister will dismiss the guests to exit and head to the reception. Often, there is a triumphant and joyous piece of music playing during the wedding recessional. If the music ends before the congregation is finished exiting, a more subdued but still joyous piece can be played to conclude until all guests have made their way out of the space. Note: In a Jewish wedding ceremony, the parents and grandparents follow the bride and groom, prior to the bridal party exiting the space. After the entire bridal party and family have exited the space, then the rest of the guests will be dismissed by the officiant or the ushers. The bride forgets to grab the bouquet back from her maid of honor before heading down the aisle. The guests try to leave before the full bridal party and family have exited. The members of the bridal party exit out of order. The bride carries her bouquet too high. Make sure to practice the order and flow of both the processional and recessional prior to the wedding to make sure there is no confusion. Have the Maid of Honor remind the bride to grab her bouquet before proceeding down the aisle. Make sure to hold your bouquet near your waist, not your neck. Be sure to smile big! This moment is one of the most exciting and important moments of the entire wedding!